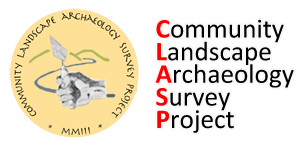 What a success for CLASP was the CBA South Midlands meeting at Bugbrooke on the 6th April. Firstly as Chair of Trustees can I give a big thank you to Stephen and Fred for taking the podium and so ably presenting our work at Bannaventa, Borough Hill and Nether Heyford. Also a thanks to all the other CLASP members who attended to assist with the display stand and generally discussing CLASP with others. It was also very satisfying to see the way that our colleagues at MOLA involved CLASP work in their presentations. I think it is fair to say that our stature was significantly raised in the archaeological world yesterday – again a big thank you to all for your work to allow this to happen. Some important contacts made that we must follow through on.